Development of drug targets and biomarker candidates of interest. aLess well-known: proteins that have only transcriptomic evidence, but not proteomic MS data (constitutes about 6,000 proteins). bWell-known: proteins that have both transcriptomic and proteomics MS data. 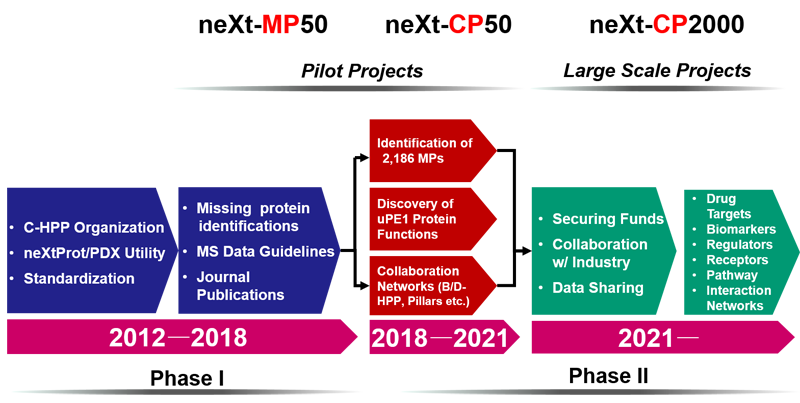 The data for proteins under investigation will be integrated into one common C-HPP portal by contributions from each chromosome team.